If you wonder how to install Photoshop brushes, and what the best way to use and delete them easy and fast is, here is a 7-step tutorial about installing brushes in Photoshop CC. 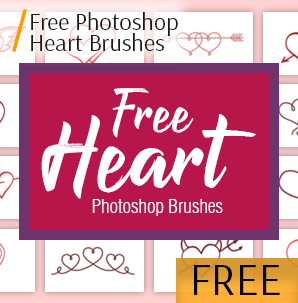 If you want to start using Photoshop plugins right now, you can download free brushes below and create amazing photos and designs. Brushes are used to add paint (grass, snow, clouds, flowers, etc.) to photos in a variety of ways, though creating lines and repeating figures isn’t the only thing they’re great for. The brushes can be used to brighten an image, create texture, or digital painting. Brushes allow you to add incredible depth and smoothness to your photos, but all of this is in vain if you don’t know how to install them. Why are Photoshop brushes useful? Despite the term “brush,” Photoshop painting brushes can do so much more than just copy physical things, such as paints. In fact, brushes can be used in every aspect of image editing: from textures and patterns to color correction. This makes any brush a convenient resource for both beginners and expert designers or photo retouchers who want to add depth to their projects. Don’t have photo editing software? 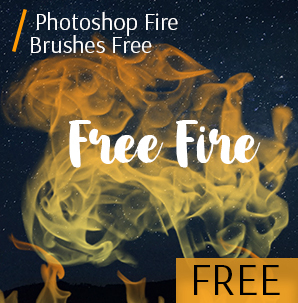 Find out several legal ways of downloading Photoshop free and start using Photoshop brushes right now. STEP 1. Download a .zip file that contains your brushes and unzip it. You’ll have a new folder, which contains several files, one of which is an .ABR file with a brush. STEP 2. Start Photoshop. You don’t even have to open the image. Just run the program to install your brushes. STEP 3. Open the Photoshop brush Library in the Finder or Explorer. You need to know exactly where they are. STEP 4. Press the “B” key on the keyboard or select the Brushes tool to display the brush editing window at the top of the screen. This window changes depending on which tool you are currently using. Press the "B" key to switch to the Brushes tool. STEP 5. On the Brushes toolbar, click on the small pointed “down” arrow. It’s usually located near the small dot in the upper left corner of the screen. This way, you will open the "Manage brushes" section. STEP 6. Click on the gear wheel icon, and then select "Load Brushes." You will see a window in which you need to specify where your brushes are saved. Go back to a zip archive and find the .ABR file - this is your new Photoshop brush pack. STEP 7. Double-click on the .ABR file to install the brushes. Thus you will add brushes to the current set. You can view them any time, opening “Manage the Brush Sets.” Simply click on the small gear symbol and find your new brush set at the bottom of the drop-down menu. STEP 1. Click on the “Edit” tab in the bar at the top of the window. STEP 4. Click the Download button, select your brushes, and install them by double-clicking. STEP 1. To save time, add several sets of brushes to your Photoshop system folder. This method works on both Windows and Mac computers. Close Photoshop before you begin. STEP 2. Search for Photoshop files in the following ways. There are two different variants to do it. On a Mac, all you have to do is to click Cmd + click on the Photoshop icon to open its system folder. STEP 3. Open the “Presets” folder, then “Brushes” to see all your brushes. This is where Adobe stores all of your brushes, and Photoshop “looks” for new ones. STEP 4. Drag the new brushes to this folder. When you open a .zip file, drag the .ABR file into the Brushes folder. New brushes will be ready for usage the next time you run Photoshop. STEP 1. On the “Brushes” panel, select “Load Brushes” from a drop-down menu. After that, right-click on the brush that’s displayed on the “Brushes” panel and select “Get More Brushes” from the context menu. STEP 2. Download a set of brushes. For example, you can get free Photoshop brushes from FixThePhoto. STEP 3. Click twice on the downloaded ABR file. STEP 4. Added brushes are now displayed on the “Brushes” panel. 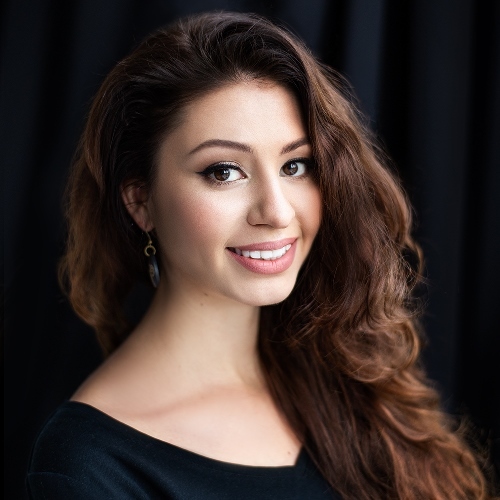 How to Use Brushes in Photoshop? After you have picked out the brush you want to use, just press the button. As I’ve already mentioned, you can use single clicks to place a brush, or you can hold the mouse button and drag the cursor around the screen to create cool effects. If you notice that your brush is too large, or you just don’t like the effects you create, you can control the size, mode, opacity, and flow of the brush using the settings on the toolbar at the top. You can easily manage your brushes by organizing them in groups on the “Brushes” panel. STEP 1. Click on the icon on the “Brushes” panel. STEP 2. STEP 2. Enter the group name. Click "OK."
STEP 3. Drag the brushes and presets into the group. STEP 1. Select a brush on the “Brush Presets” panel and select “Rename Brush” in the panel menu. Enter a new name and click OK. STEP 2. Alt-click (Windows) or Option-click (Mac OS) on the brush you want to remove. STEP 3. Choose a brush and select “Delete Brush” on the panel menu or click on the “Delete” icon. Flowers are an essential element of almost any design project, artistic painting, or landscape/outdoor photo. The majority of designers don’t draw everything by hand while creating a logo or banner; instead, they use the brushes, complementing the sketch with the available flower patterns. Flower brushes are often used to create various tattoo sketches. Download more Photoshop plugins to make photo retouching easier and professional. View more about how to use overlays in Photoshop and find out where to download them for free. There’s a common problem of outdoor photography: one takes a landscape photo, but the horizon or the sky itself doesn’t look exactly the way he/she wants it. With this free Clouds Photoshop brush you don’t need to wait for the moment when the clouds in the sky become beautiful. You can use these brushes and draw the clouds you need, in the right place, while keeping the look of the picture realistic. This is one of the most popular brushes for your Photoshop brush Library & other Photoshop programs. Its black and white version is often used while editing landscape images, since there are a lot of brushes that look very realistic. These brushes are also used when it comes to real estate photos, where you need to show the perfect lawn. Using this brush, you can also create this lawn from scratch right on your computer. While creating logos, most designers use and add these stickers to the sketch to make the image unique and catchy. The sticker brush is used for various logos, design projects, banners, as well as well-spread emojis. Loading several sticker brushes into Photoshop, you can create your own unique picture or just decorate photos. Allows you to create different emoji stickers. It’s quite difficult to take a photo with beautifully falling snow or a landscape picture with clearly visible snow at the top of a mountain. However, in most cases, it didn’t turn out exactly the way it was planned. A lot of street photographers don’t pay attention to the snow in the frame because it’s easy to add it with the help of this Photoshop brush tool. A simple mouse click will add the necessary snow strokes to the photo. After using the brush, the snow becomes more distinctive and the color gets a desired white hue.